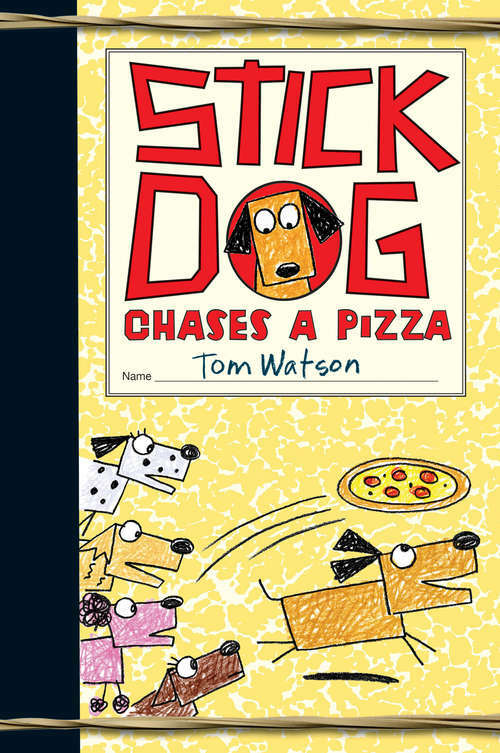 In Stick Dog Chases a Pizza, Tom Watson's hilarious follow-up to Stick Dog and Stick Dog Wants a Hot Dog, Stick Dog returns with the same crazy crew. This time these canine friends have discovered a newfangled flavor--and it's even more delicious than hamburgers and hot dogs. It's pizza! And they won't be satisfied until they get some slices of their own. But it won't be that easy. There's a kitten to rescue, a plan to make, and the messiest--and most dangerous--game of catch they've ever played. Pizza is on the menu, but only if their mission succeeds. Perfect for fans of Big Nate, Diary of a Wimpy Kid, and the previous Stick Dog books.